having a banner for your site is very important factor when you exchange your links, submitting your site to a directory ,advertising anything related to marketing even. 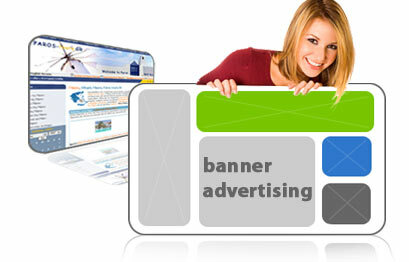 So it is preferable for each one of you to have several types of banners for your site. Today I will show how to make a simple banner for your site. What are the necessary software and tools...? There is no need to have complex software for making banners to have a simple banner. Even the Paint software provided by Windows system is enough. If you are interesting in making a image with other thing like Photoshop it is ok. Then you should have a idea of what is going to do. Then I recommend for you to download a set of banners in various sizes. like 468*60, 300*100, 300*250, 80*30. I will provide you set of banners in my next article. How to make a banner......? 1. First get the image you have download. 2. Open the image with your software. 3. Then erase the irrelevant parts and edit with your details. 4. After that same the image as .jpg, .png or .gif. 5. Then open a new post in blogger and upload the image. 6. Now save the post as a draft. 7. Now right click on the image and open in a new tab. 8. At the same go to the layout. 11. Paste following code on that html script. 12. Now edit the green part with your domain name and yellow part with your image URL. 13. Now save the template and see how it works. In next post I will discuss about how to display your banner code to others. Until that, make use of this post. Contact me in any problem.